Crystal Apprentices is my first big personal project. I use it mainly to test myself for my next projects and to learn as much as I can. It’s far from perfect but it’s bound to improve ! I hope you can enjoy it as much as I have fun drawing it even with all its flaws. I use a flexible yonkoma format and I am still working on defining a good comics style that I like. 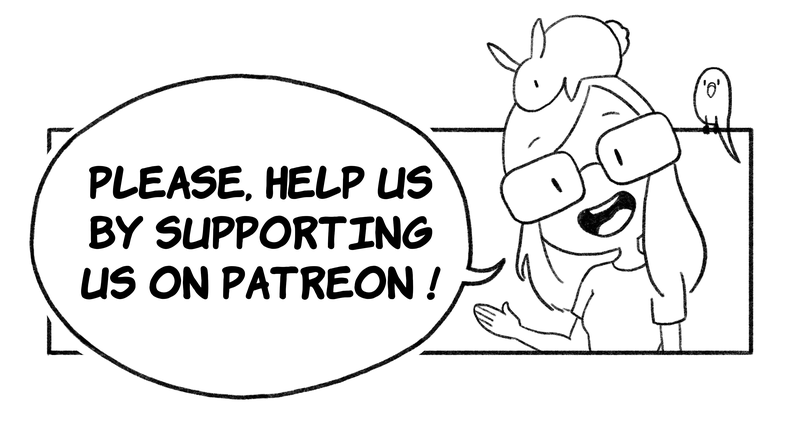 Please, consider supporting me on patreon so I can continue to spend time working on projects like Crystal Apprentices ! Thank you ! Seven Seas is a french group of artists reunited under a single pirate flag. We work on projects together and share tables at conventions but mostly it’s just friends having fun ! You can contact me at contact”at”liaelin.com or use the form below.